Contamination of food and water is quite common during monsoon. The consumption of contaminated food or water can result in gastroenteritis and other digestive disorders in dogs. It’s therefore advisable to avoid raw food stuffs and stick to cooked home food or commercially available pet food from a reputable brand. Provide your pooch with clean drinking water and ensure that the food and water bowls are washed carefully before feeding. Due to the swampy roads and the excessive humidity in the air, you may find your dog getting dirty and smelly even after regular baths. Use non-rinsing shampoos or sprays like PetHead Dry Clean or PetHead Deodorizing Spray to keep your pooch clean and smelling fresh in between baths. You could also use Pup N Fluff Hypoallergenic wipes to clean up his coat and paws after walks. 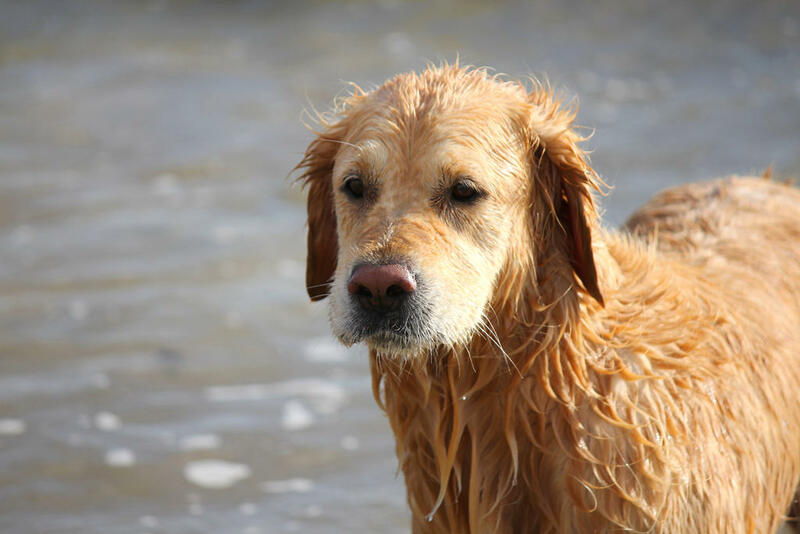 Contaminated/polluted rainwater can damage your dog’s coat. Use a raincoat to protect his skin and make sure you dry your pet completely after taking him/her out in the wet weather. The feet and the spaces in between the fingers are commonly prone to fungal infections, so special care must be taken to keep these areas dry. Dogs are prone to infections, allergies, ticks, fleas and other skin diseases during monsoon. Keep your pet up-to-date on vaccinations and de-worming schedules. Regular visits to the vet should help keep your pooch’s health under check and prevent common skin ailments. Keep your dog indoors, and ensure that the sleeping area is warm, dry and comfortable. Some dogs get frightened by rain and thunderstorms. Symptoms of storm anxiety include shaking, hiding, biting, and excessive chewing. Try distracting your pet by bringing out his toys or turning on the TV to drown out the sounds associated with the storm. Your vet may prescribe medicine to keep your pet calm during storms, in extreme cases. ← How to tell if your Dog is Stressed out?